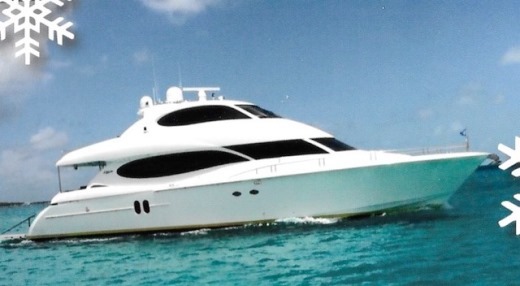 Dockside Marine Services provides a diver or divers for complete underwater yacht maintenance. Dockside also provides prop pulling, switching, reconditioning and sales. Dockside has been doing business in Martin County for over 40 years. Many of our customers have stayed with us for 25 years or more, through toxic water, frost & hurricanes. Growing with our Dockside friends has been our pleasure & our pride. 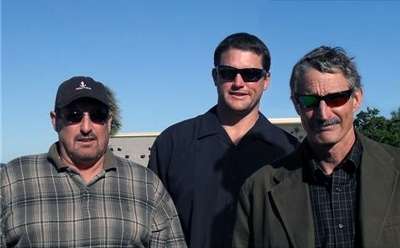 Gary & Andy are licensed, insured, & available for jobs outside U.S. waters. 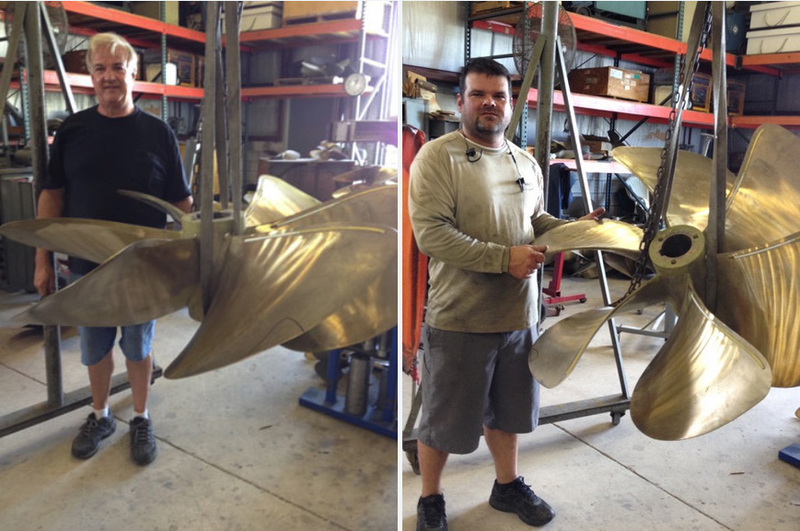 Eddie Morgan and Shane Raines from Stuart Propeller with one of the huge props Dockside pulled off of the American Ambition from Sailfish Point this week. 1) Your NAME & CITY, where & when you did whatever you're proud of. 2) JPEG photo & don't shrink it down. 3) We prefer submissions from our friends & customers with their local catches, & do retain the right to choose what gets put on & when it gets replaced. Raising Dough from Sailfish Pt. Gary Dowd, a FL resident since 1971, FAU graduate, hails from Pt Huron, MI. He started Dockside in 1973 while attending graduate school in Boca. 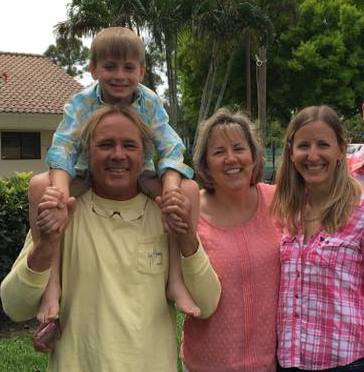 He & his wife, Becki, moved to Palm City in 1978 & have 2 kids, Emily & Andy. 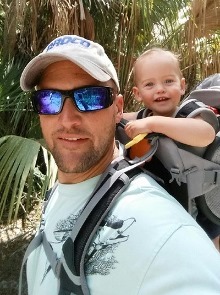 Gary runs, hikes & does P90X workouts weekly, on his 3rd yr of Spanish, reads & is an avid bird watcher & trail guide at TC Wildlife Center in Palm City. Our son, Andy, from IRCC and Northwood University; came aboard in 2000. He likes to fish, cook, do carpentry, go quadding and plays softball every week. Now that he's married to Danae Clark from PSL he spends more time at home with their son Finnegan. He is slowly becoming the driving force behind Dockside and we welcome that. 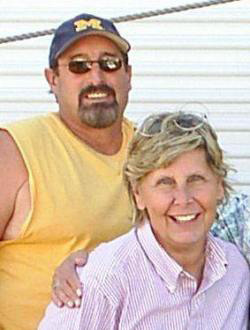 In 1985 Gary's brother, John, & his wife, Nancy moved down from Pt Huron to join him. 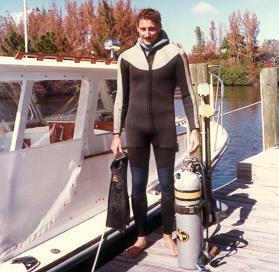 John is a Wayne State University graduate & Navy certified diver. He goes as far north as Vero Beach & south to West Palm Beach. AJ Aleixo came to us in March 2017 from San Francisco; has an AS Degree in Aviation Engineering. 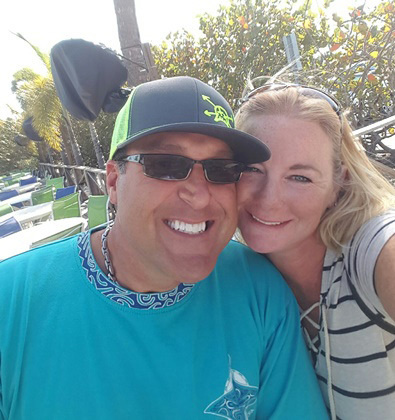 He’s a licensed skydiver, EMT & firefighter; enjoys flying Paramotors, saving all water creatures with his wife, Laurie, and for some crazy reason he really loves working with us, so you’ll see him around the docks. Our rates start at $2.00 per foot. At this rate you're Monthly, you have an inboard or small prop and you're in a marina where we can swim from boat to boat. As your paint wears thin, or as the warmer waters aid in barnacle growth, even your location in the river where growth is faster than others, your rate will be higher. This is just a guide for both of us. We inspect & replace zincs when needed, clean thru-hulls, hardware, props & waterlines. We patronize ONLY LOCAL businesses when buying our zincs or repairing props. 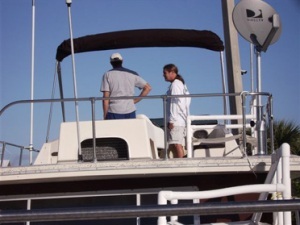 You'll get updates on your paint condition & any damage noted while under the boat each month. We have a minimum charge of $35. We sell props (new & used), pull, switch & transport props to & from prop shops & install them again. We do hull inspections & prep for sea trials. We recommend painting your props prior to reinstallation to deter barnacle growth as seen on our Prop Problem page. Let Dockside put you on Monthly maintenance schedule. You can contact us by email or phone. When you call Gary's line, 772-283-6893, you'll hear a daily recorded message of his whereabouts & his cell phone # for emergencies. So, drop us a line today!